Improving children’s education is a daunting task. A child only has one shot through the education system, and it can make or break their direction in life. When you add in compounding factors like poverty, hunger, politics and even bullying, potential solutions can often be complex and difficult to navigate. 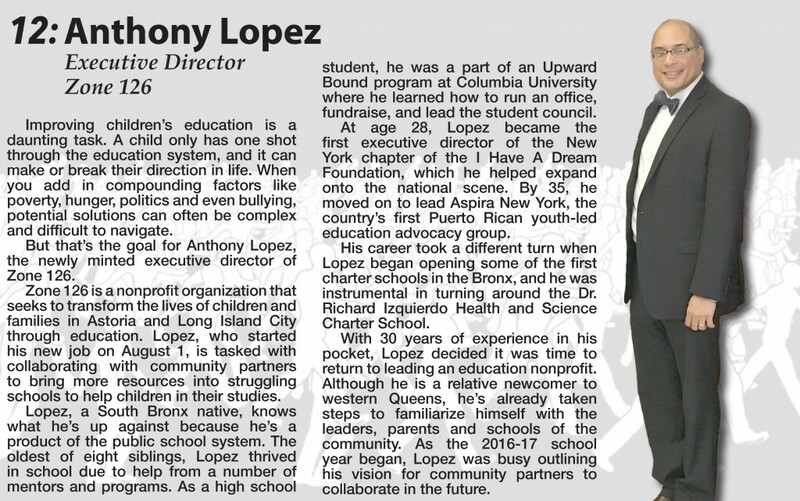 But that’s the goal for Anthony Lopez, the newly minted executive director of Zone 126. Zone 126 is a nonprofit organization that seeks to transform the lives of children and families in Astoria and Long Island City through education. Lopez, who started his new job on August 1, is tasked with collaborating with community partners to bring more resources into struggling schools to help children in their studies. Lopez, a South Bronx native, knows what he’s up against because he’s a product of the public school system. The oldest of eight siblings, Lopez thrived in school due to help from a number of mentors and programs. As a high school student, he was a part of an Upward Bound program at Columbia University where he learned how to run an office, fundraise, and lead the student council. 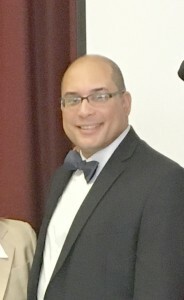 At age 28, Lopez became the first executive director of the New York chapter of the I Have A Dream Foundation, which he helped expand onto the national scene. By 35, he moved on to lead Aspira New York, the country’s first Puerto Rican youth-led education advocacy group. His career took a different turn when Lopez began opening some of the first charter schools in the Bronx, and he was instrumental in turning around the Dr. Richard Izquierdo Health and Science Charter School. With 30 years of experience in his pocket, Lopez decided it was time to return to leading an education nonprofit. Although he is a relative newcomer to western Queens, he’s already taken steps to familiarize himself with the leaders, parents and schools of the community. As the 2016-17 school year began, Lopez was busy outlining his vision for community partners to collaborate in the future.